Do you engage in core training with the hopes of getting a 6 pack? If you say yes, you’re doing it wrong. I’m sorry, not really, to tell you that abs are made in the kitchen not in the gym. Abs are about 70% diet 30% gym so you have to make sure your diet game is on point and then worry about core training. Genetics will play a major role in whether you achieve a six pack or not. Some people are simply not cut out, yes thats a pun, for that lean of a physique. Get away from the machines. Relying on machines for your workout could be hindering the strength of your core. Get used to going to a barbell, dumbbell or kettle bell. These pieces of equipment focus more on complete human movement patterns, take core training to the next level and will burn more calories than the machine you use. At the end of your workout do you spend 10 to 30 minutes training core? 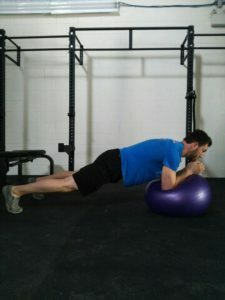 You are using this time inefficiently for core training. If you are training properly with the ‘bells’ stated earlier you are engaging your core much more forcefully than all the sit ups in the world could provide you. Additionally, adding some of the exercises I talk about later would be important to add in during your work out as a ‘superset’. 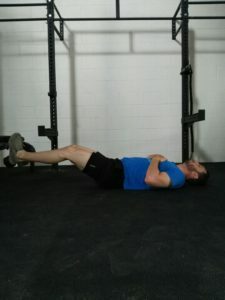 This will let the primary muscle group recharge and you will be using your rest time wisely. It will also help increase major lifts like your squat, bench and deadlift. 80% of your workout should involve your core as a stabilizer (example.. deadlifts, squat, row) while the other 20% could focus on the core directly. Rather than doing a million crunches that will yield minimal results in achieving abs, shift your focus to a more functional and practical approach to your ab routine. That being said, this will not give you an instant six pack just like the crunch routine won’t either, simply because abs are made in the kitchen. 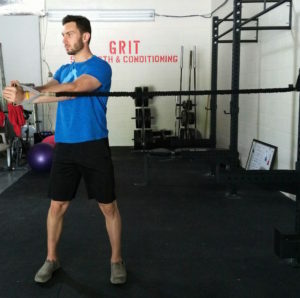 Holding a resistance band out in-front, brace your core and push the band away from you. Holding it directly in-front of you use your core to prevent the band from twisting your upper body towards the attachment. 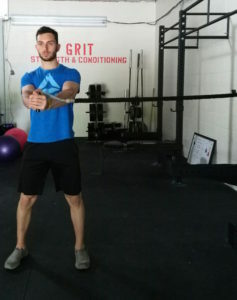 Much like the Palof Press, you will be using a resistance band that will be held in-front of you. This exercise will work on the rotators in your core, obliques. For this exercise keep your hips facing forwards, do not allow them to twist with your upper body. Focus on twisting with your core. Keep the handle in-line with the centre of your chest. Once you have twisted, bring the handle back to centre slowly. This will engage and burn the core more, thus resulting in core gains. Yup, the plank. Everyone knows of the plank. It is a very effective exercise that is a tremendous baseline for many other exercises. Be as flat as possible, flex your stomach and your glutes. 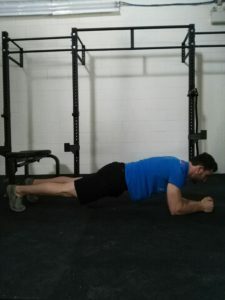 Once you get better at this exercise, rather than increasing your time in the plank, progress to a harder exercise that could be done on a ball or add weight to your back on a ground plank. If you’re adding weight make sure you have properly learned the plank. In this position move your arms in a clockwise then counter-clockwise motion, as if you were stirring a pot. Go slow and do not rush this exercise. As you may notice, a common theme with all these exercises is there is no hip flexion (bending at the hips). 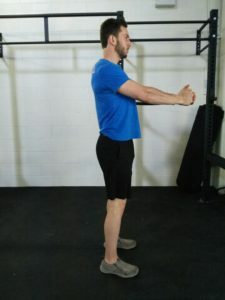 All these exercises emphasize core bracing, neutral spine alignment, core control while moving which will all lead to a solid athlete or even just make daily activities easier. 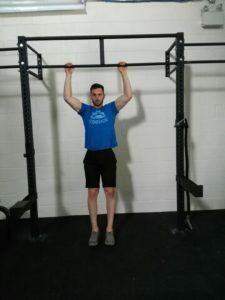 It is important to breath throughout these exercises, this may sound dumb but a lot of people tend to hold their breath while holding a core contraction. Squeeze your glute muscles, brace your core and keep a neutral pelvis position. This will prevent a forward tilt through the hips leading to back pain. 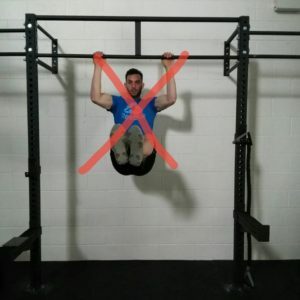 Avoid exercises like leg raises. 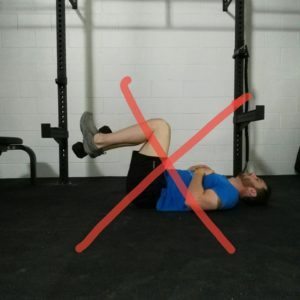 None of the abdominals attach to the femur so “ab” exercises that involve a lot of hip flexion or knees moving towards the chest are mainly training your hip flexors. This could lead to back pain and poor posture. 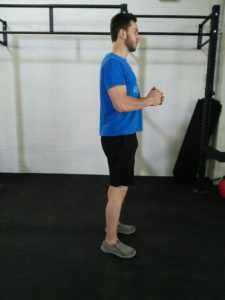 This exercise focuses mainly on the hip flexor group. Like stated earlier no ab muscles connect to the femur (leg bone) so in order to bring the leg to the chest the hip flexor muscle must contract. You may feel this in core that is because you are slightly bracing your pelvis from moving forward. Doing exercises stated earlier will have a stronger impact for developing your core. Ignore the guy you watch on social media with his shirt off showing off his abs doing this exercise or being punched in the stomach in-between each rep… This also does nothing and is just for show. Train Smart then Train hard!